Cave hotels are new to the region but the caves are not new. It is not allowed to carve a new cave to convert into hotel so the unique landscape of Cappadocia is protected but there are thousands of caves already carved out by ancient civilizations such as Hittites, Romans, Byzantines and the Ottomans. 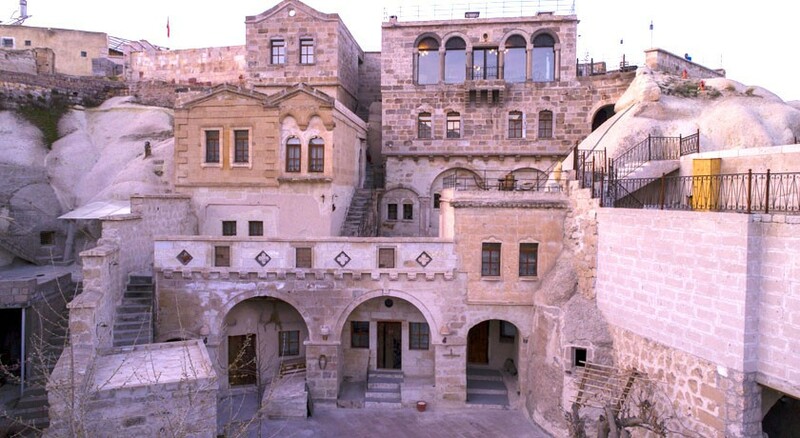 With a perfect architectural plan, we converted ancient caves into your house in Cappadocia. While staying in our hotel, you will feel like you are in ancient times but also you can find all the needs of modern day such as wi-fi, safe box, tv and minibar in every room. We are one of the only hotel in Goreme with a swimming pool which gives our guests the chance to cool off all day especially after a day trip in Cappadocia. 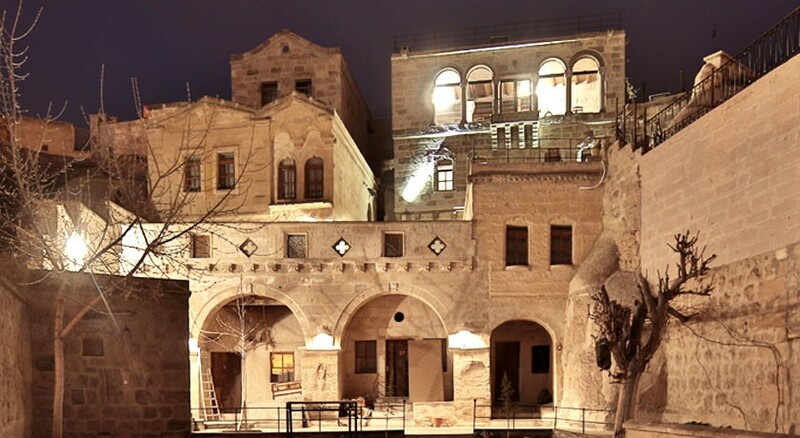 Tekkaya Cave Hotel is located in the heart of Goreme town. It is located just 2 minute walking distance to the city centre. Located in a beautiful canyon, the property offers a beautiful panoramic view of Cappadocia from the breakfast lounge and terrace. There are cave and old historical stone arch rooms. Our rooms are designed with Ottoman and Greek style. They are all traditionally decorated with handicrafts, carpets and curtains. 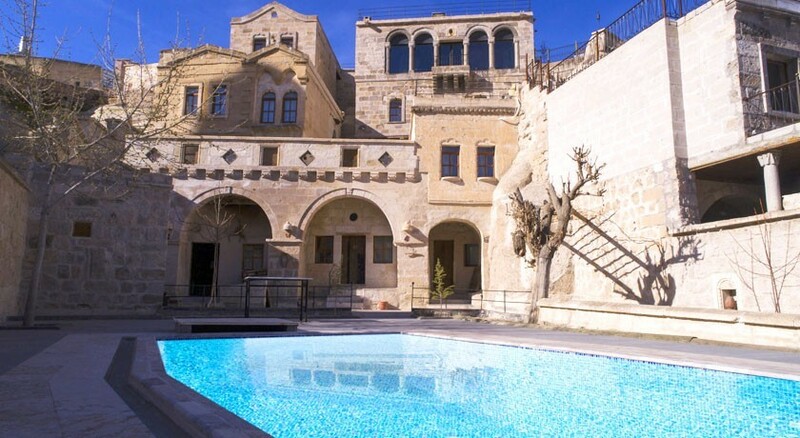 The hotel arranges local excursions to see all the highlights of Cappadocia. There are lots of valleys and canyons for hiking or biking around the hotel. Tekkaya Cave Hotel serves a very rich open buffet breakfast. Guests can also enjoy the view of hot air balloons rising over the valley. You can relax with a drink on the terrace and watch the sunset over Cappadocia. Goreme Bus Terminal is just a 5 minute walking distance away from the hotel. The property is 40 km from Nevsehir (Cappadocia) Airport and 75 km from Kayseri Airport. 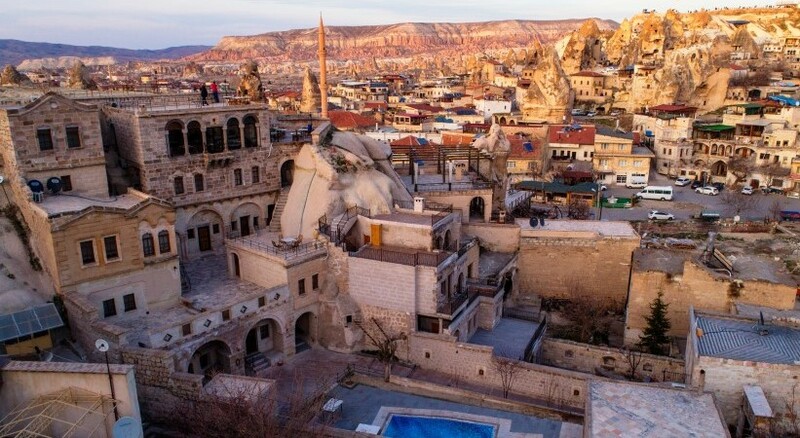 Our hotel is also 10 minutes driving distance to Zelve Open Air Museum which is a UNESCO site, Devrent and Pasabaglari Valleys where you can find many fairy chimneys (rock formations) and just 15 minute walking distance away from Goreme Open Air Museum which is also a UNESCO site.